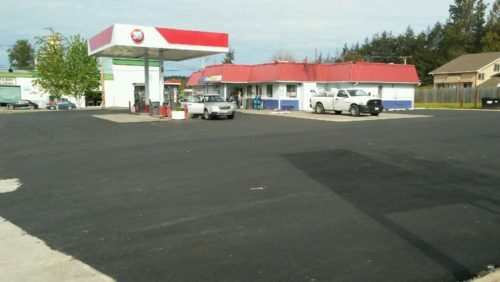 Asphalt patching is a cost effective solution to maintaining parking lots and protecting the investment in them. In many cases of parking lot repair there is no need to repave the entire parking lot. 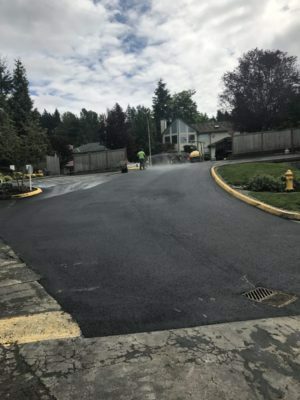 Asphalt patching is removing and replacing the asphalt to solve problem areas in the lot. There are several main categories of damaged asphalt; potholes, alligatoring or heavily cracked areas, roots rupturing the asphalt, and sunken areas. 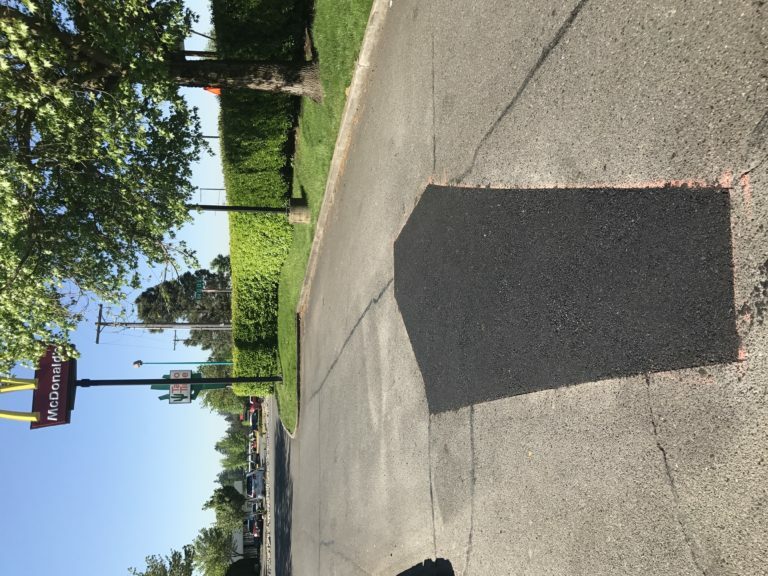 We remove the damaged areas of asphalt, making cuts 12″ outside of the repair. 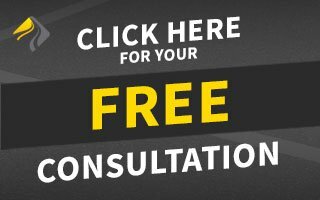 We dispose of all asphalt and faulty sub-grade. We bring in crushed rock and compact the sub-base to build a solid base. We then pave the asphalt back in the area and compact it to its final thickness. The thickness depends on the type of traffic that will be on the asphalt. We pave at final compaction depth anywhere from 2″ to 8″. 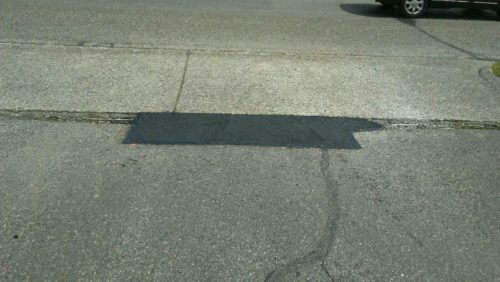 We seal the edges of all of our patches using an asphalt-based tar to prevent water from entering the asphalt.